Our location scout in New Mexico was a great success. Working from a base camp in Albuquerque, Jesse, Joshua and Laurence spent a full week visiting location, meeting people, and testing out different looks for the film on camera. 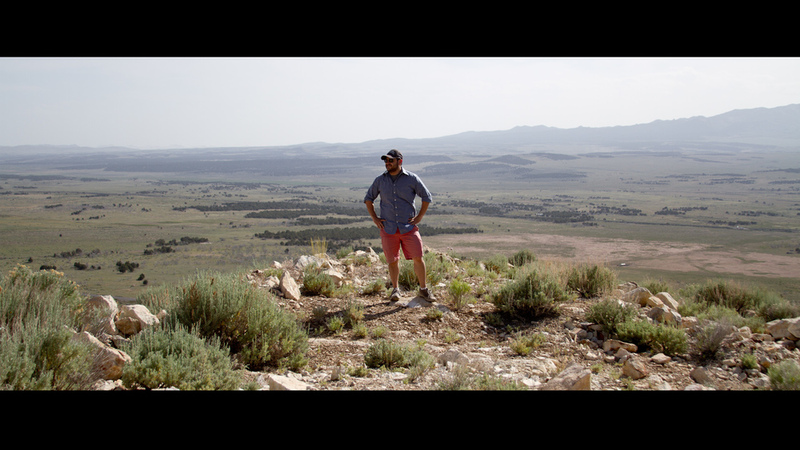 We got the chance to meet with Native American tribe leaders in both the Zia and Nambe nations, and explored a silver mine with a wonderful woman who lived all on her own on 250 acres with some of the most breathtaking views we've ever seen. Visit the LOCATIONS tab from our homepage to see some great photos from the trip. Our post production house, Light Iron, has been great in helping us in discovering which "look" we want for the film when we shoot in March. Recently, we brought in footage from our camera test to the huge screening room at Light Iron and met colorist Sean Dunckley, who's going to be coloring our final film. It was a great experience, which we'd like to share with you all. Below, find some photos of the trip, and see if you can spot a secret cameo. This past week, the team went on an exciting camera test at Abel Cine, a film rental place in New York. We tested out two cameras which we're currently choosing between - the Sony F55 and the Red EPIC. Both cameras have their advantages, and we tried out both cameras with different lenses and filters. Since our characters will be wearing uniforms, we made sure to test the cameras against a model wearing an army uniform leant to us by our advisor Emir. After getting all our footage, we brought it into the computer. In this program, we played around with color correction, saturation, and contrast. This is just an example, but for the actual film, we'll be working with our post house Light Iron to professionally color correct to apply a consistent, interesting look for the film. We have been working with our military advisers on making the script as strong as possible, and wanted to give them the proper credit they're due! Emil Daubon has been with US Army Special Forces since 2005. He has deployed around the world in support of various missions, including Operation Enduring Freedom- Afghanistan and Operation Enduring Freedom- Philippines and continues to serve with 19th Special Forces Group as he pursues full time studies at Columbia University's School of General Studies. Eric Nelson was an platoon leader from Afghanistan from 2005-2006. He led a 40-man platoon of the 173rd Airborne fighting against Taliban groups and working with villagers in remote districts of Kandahar Province with international development. Eric is currently enrolled in Columbia University's School of General Studies in the pre-med program. Below is a gallery of location photos Jesse took with his 5D (much nicer looking than my iPhone candids) click through to check them out! The last week was a whirlwind of scouting. Jesse and I travelled all over Salt Lake City and surrounding areas in what felt like a giant circular road trip. We ended up visiting some locations that really surprised us, in a good way. The small town of EUREKA, Utah (about an hour and a half outside of Salt Lake) especially blew us away in terms of beauty and resemblance to what we were looking for. 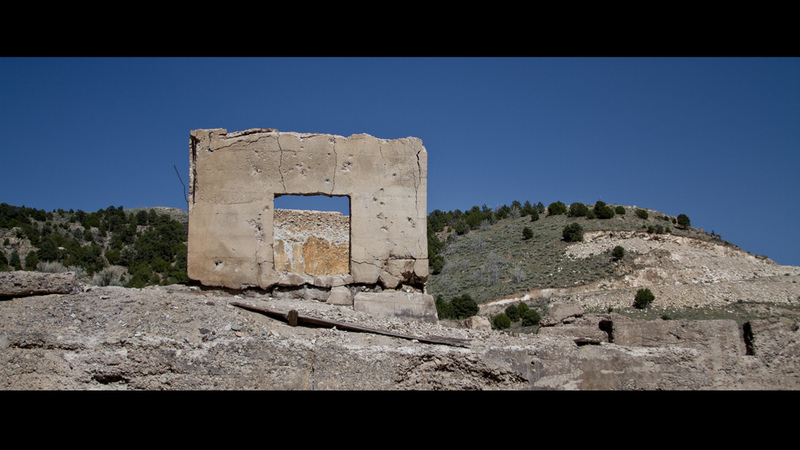 The surrounding areas of SILVER CITY, an old mining town had some half-abandoned structures that were eerie and wonderful. Jesse and Josh arrived in Salt Lake City last night and set off early this morning with co-Producer Connor to check out two of our locations: TOOELE COUNTY and STANSBURY ISLAND, UTAH, both about an hour drive outside of Salt Lake. We found some amazing locations, especially in Stansbury Island. We even met some friendly cows. Filmmaking is a long process. This is just the start of our journey from idea to finished film. Join us back here regularly for updates, photos, and more!